my top 10 lists are always changing – top 10 bands i want to see live (daft punk & arcade fire are usually in there), top 10 hottie actors (hello jon hamm, hello javier bardem), top 10 foods i would choose as my last meal (that is a particularly tough one) …but some of my top 10 famous artists are pretty easy to nail down: gauguin, van gogh, odilon redon, cezanne, rousseau, chagall, picasso and matisse amongst others. all at their most colourful periods. so when my boyfriend told me he was going to see a matisse exhibition at the pompidou in paris i was quite jealous (also because i wasn’t in paris, really). 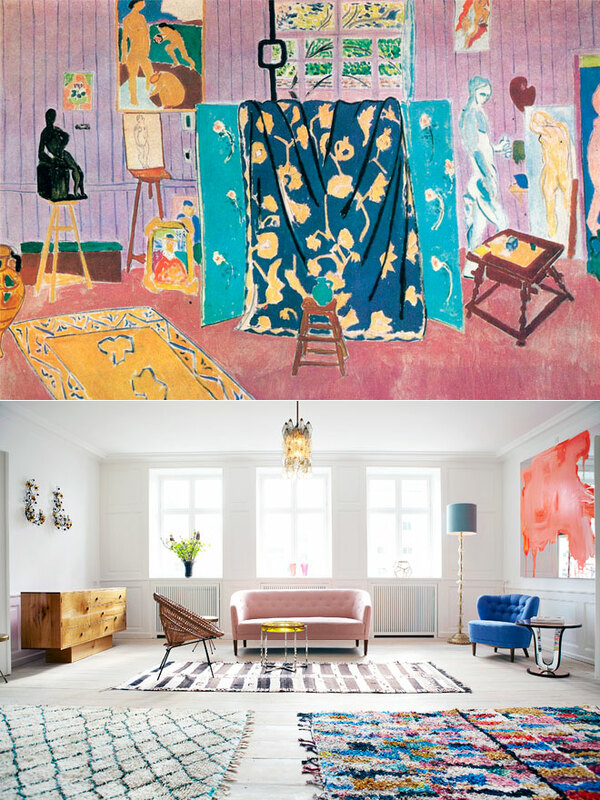 the exhibition is called Matisse Pairs and Sets and it boasts 90 of his works that show how he would paint or draw the same subject over and over in different ways. he once said, “I do not literally paint that table, but the emotion it produces upon me.” it really is a once in a lifetime opportunity to see all these works collected in one place, so if you’re in the area go check it out – it’s running until 18 June. 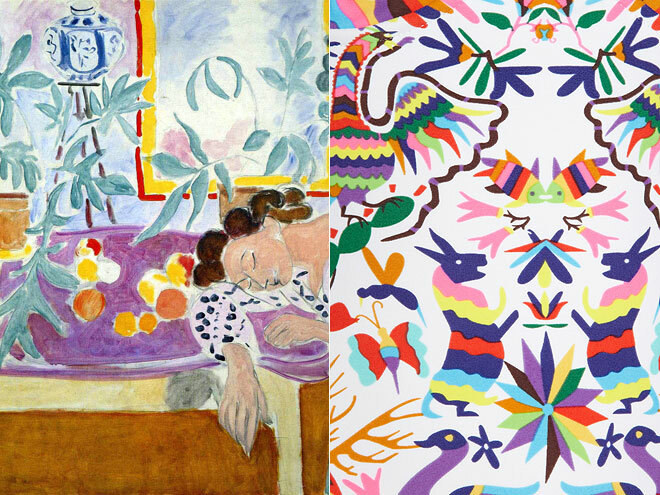 since i couldn’t be there (grumble grumble) i decided to look through his amazing body of work, and then i started seeing bits of Matisse everywhere. 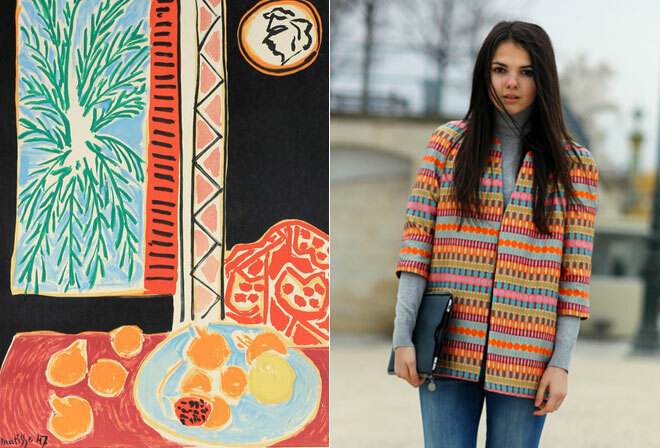 love these Matisse comparisons. Some brightness for a very grey day I am having. You really have one of the best blogs out there. Your eye is incredible! Oh again perfect matches! I love the one with queen! What an amazing post! 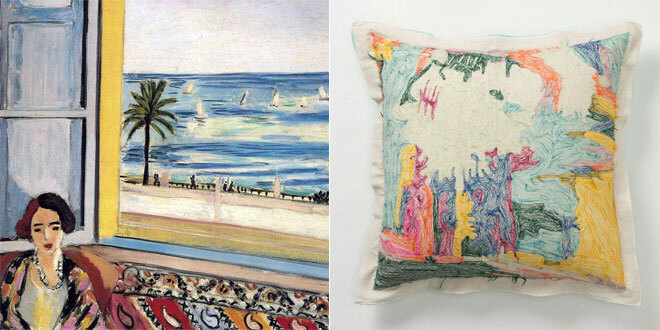 Great fan of Matisse too and just as bummed – only going to Paris in September so Ill sadly miss it! This post is so awesome it made me cry ( in a good way). Hands down you’ve got talent! Este post é uma maravilha. Muito bom! You are a great AD ! Bravo from Paris ! What a wonderful post! You have such a knack for mixing images together! This is one of my all-time favorite posts. So well done!! A burst of colour on this wet and dreary day! Your selections and comparisons are always intriguing, checking to see if you’ve posted something new is a highlight of my morning. awesome matches!!! i love Matisse a lot! Just beautiful. I really love your comparisons. Matisse is the best! Wow ! Congratulations for these assimilations ! I’m planning to go to the exhibition these next days – because it ends next week, and i also want to see Gerhard Richter exhibition. Your post makes me want to go the Pompidou center more than ever now ! 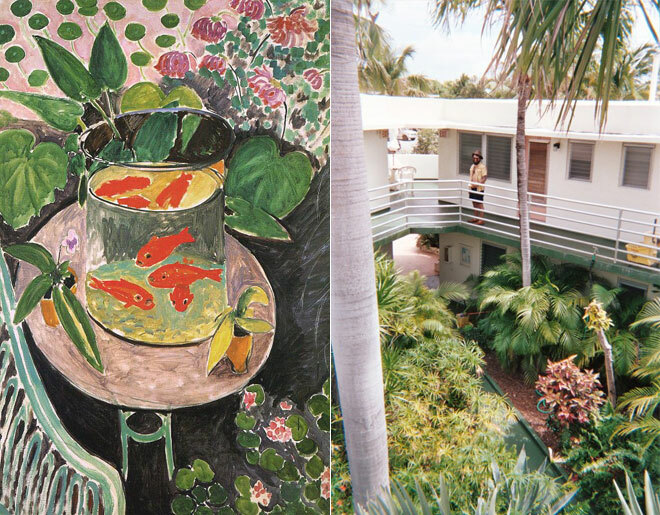 I am a huge Matisse fan as well – his work is so incredible. I am always awed by your mashups, be it food or famous artists. I love the parallels you’ve drawn here! I just found your blog last week..and I think it is one of the best out there!!! This post obviously proves why I think so! and love ALL OF THIS. 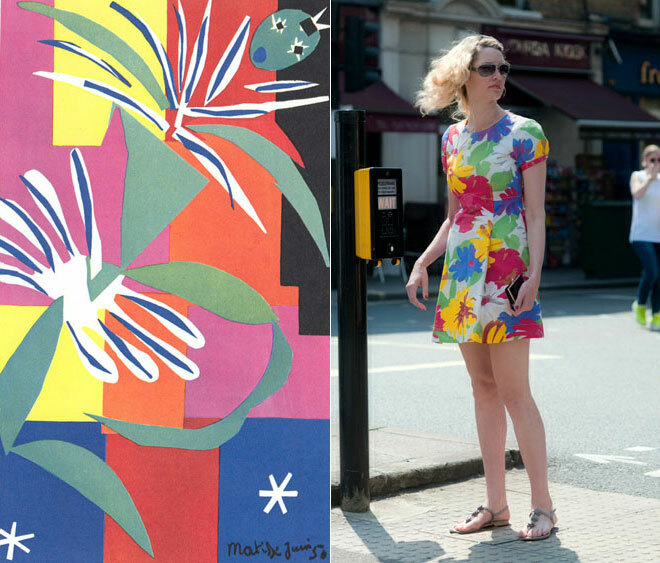 Matisse is one my all time favorite artists as well! Geez louise Diana why are you so awesome. I love the one with the queen! This is so brilliant! 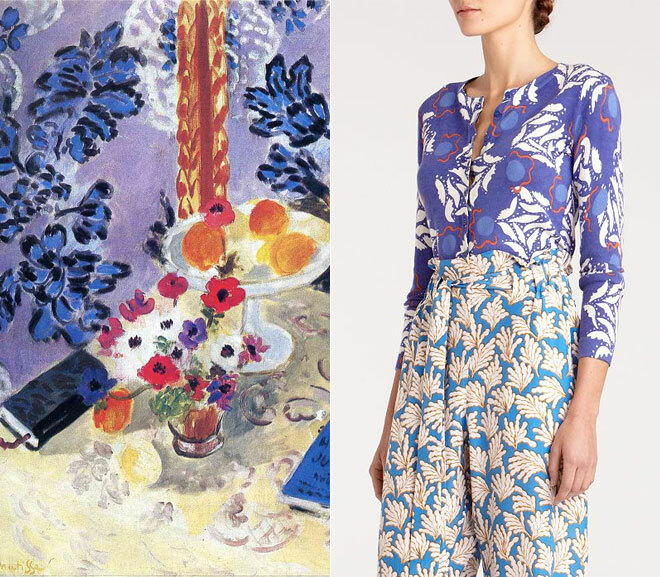 Love Matisse! 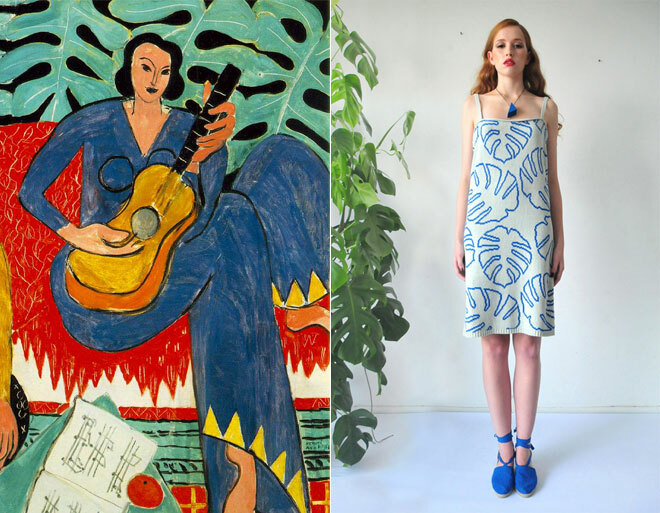 I love Matisse and I love this post – brilliant! That was unbelivable beautiful. Lets all run away to Paris…. I LOVE this post! What a fresh, brilliant idea and amazing execution! Thanks for inspiring my day. What a wonderful post!!!!! 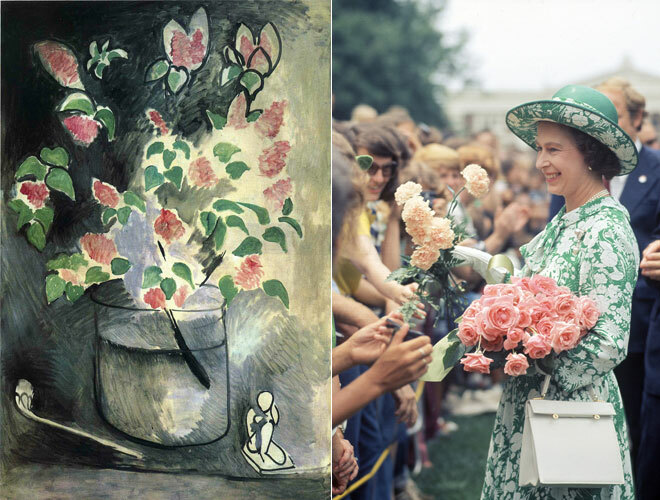 my favourite painter of all times and these inspiring comparisons, thank you from Spain!! I am completely smitten with this round of match up. I am continually impressed your eye and ability to literally find the perfect mates! What a great dose of inspiration today! This is fantastic, such a good idea and so well done! 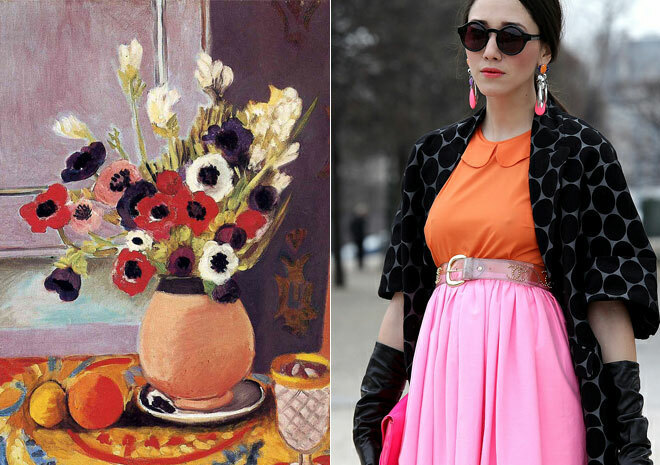 I was so inspired by Matisse’s expo at the Pompidou! I love seeing how it’s unconsciously inspired street style. And thanks for joyously connecting the two! Hi! just discovered your blog and I must say I liked it very much! I want to also say, that I was very impressed with Mara Hoffman’s swimsuit similarity with mexican (Specifically from Oaxaca region) traditional fabric patterns and crafs. I think she was possibly inspired by Oaxacan people. This is definitely stating the obvious (but that rarely stops me) – you have an incredible eye, and a really unique perspective. This is a post I’ll be coming back to a lot. This was fantastic. I am more and more impressed by your blog. 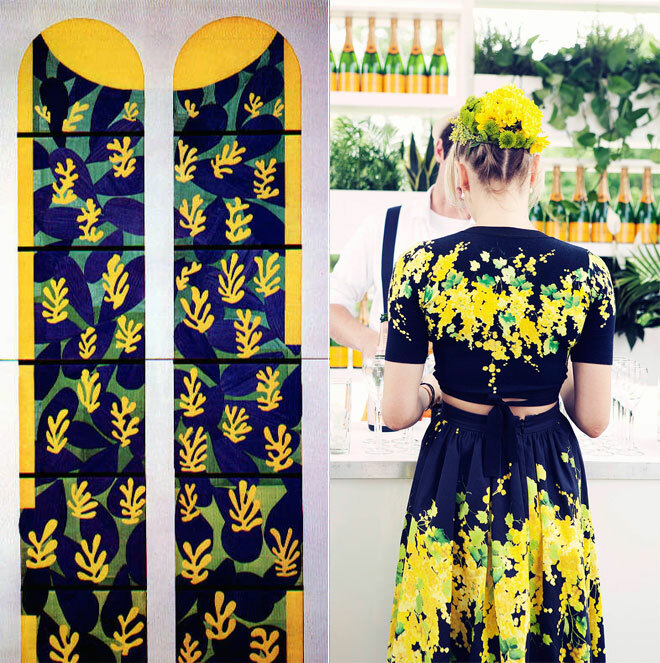 I usually stick to strictly interior design blogs but I’m always enthralled by what you post! What an amazing post! 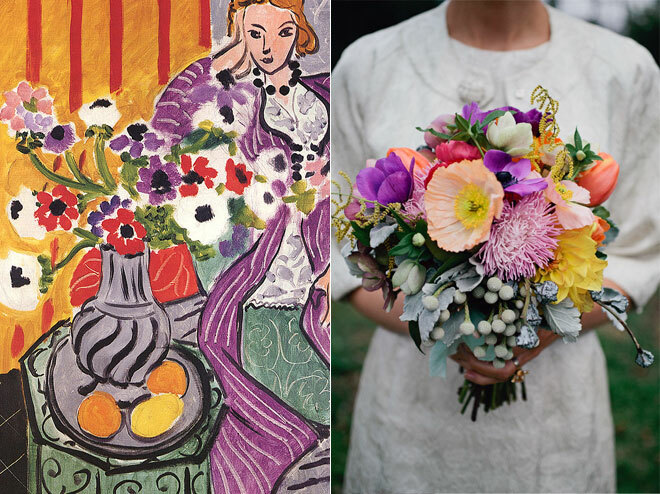 Matisse has always been one of my favorite artists (along with Chagall), and his colorful paintings have inspired me in my own life. 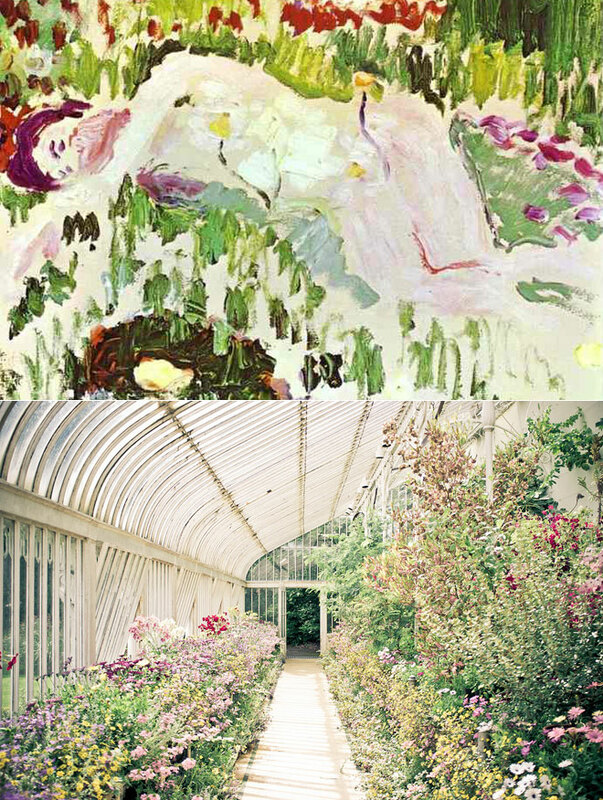 Thank you for posting these lovely images alongside his beautiful works. You have such a great eye. Matisse is one of my favorite artists ever. I love his use of color and his brush strokes and his overall style really speaks to me. I wish I could owe a Matisse original or just go to his exhibit. 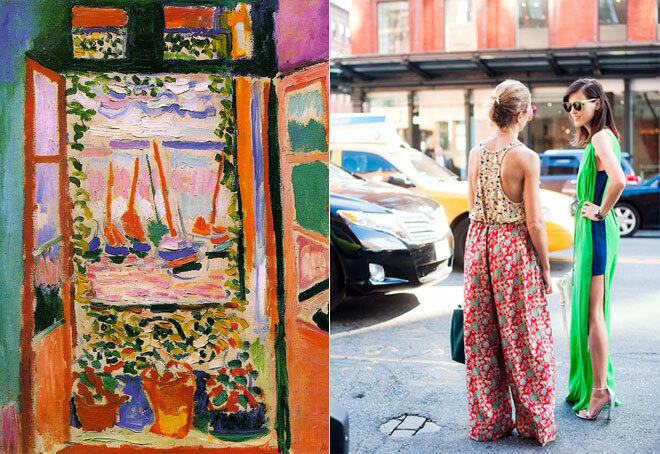 I hope they do an extensive Matisse exhibit in New York sometime soon! Ahhh! Come on MoMA or The Met! i’m so in awe over this post. beautiful! Thank you! Very enjoyable, beautiful and inspirational post. You have one of the most lovely blogs I have ever seen. It’s clear you take plenty of time and effort — it shows through its beauty and intelligence. Thank you for being an amazing inspiration. I love it enough to submit a comment!